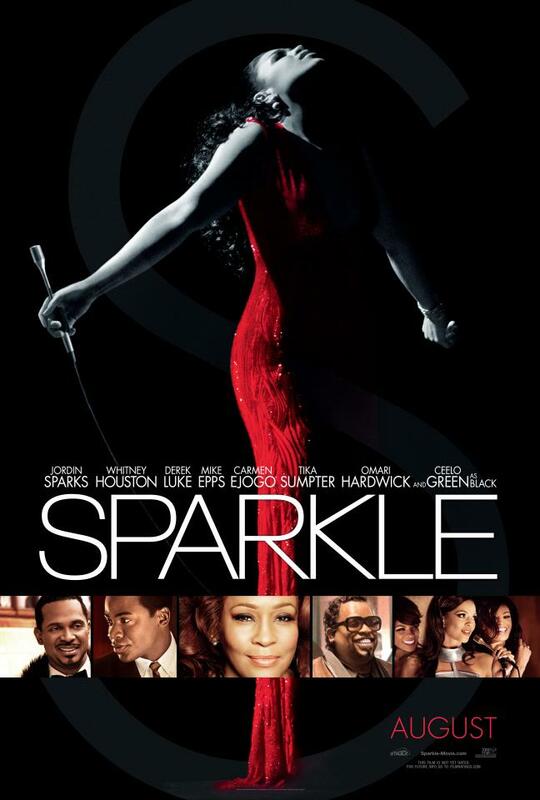 Growing up in the heart of a musical revolution and with a mother who was a singer herself, Sparkle (Sparks), Sister (Ejogo), and Delores (Tika Sumpter) find themselves thrown together as an up and coming girl group managed by Stix (Luke) who has promised them the world and is doing whatever it takes to help them make it happen. After a stunning performance in an underground nightclub catches the eye of Satin (Mike Epps), a famous comedian and entertainer, the girls are brought on board to open his show on a regular basis. On their way to stardom, Sparkle and Stix fall for each other and Sister ends up with Satin in a relationship that eventually takes a turn for the worse. With rising fame comes both money and power but also brings the potential for the types of violence and abuse that often accompany a tale that is heading down a potentially tragic path. Eventually the sisters find themselves having to make some life altering choices as they struggle with chasing their dream while heeding the warnings of their mother who has experienced everything they are going through and would prefer they stay on a more righteous path. At first I was a little worried about a movie that promised a seriously dramatic story while featuring some relatively unknown and untested talent at the forefront. 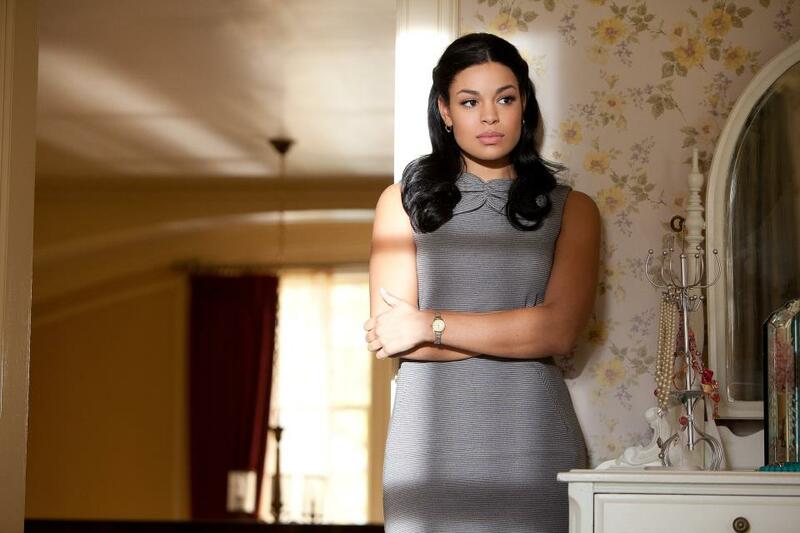 Jordin Sparks in the title role was a nice surprise as she gave a very believable performance as a girl realizing what it will take to become the woman she wants to be. Luke and Sumpter are also solid but I would have to say the absolute standout was Carmen Ejogo who is remarkable in a very demanding role. One of the most interesting things to look for in this movie is Ms. Houston herself in what is unfortunately her final performance. As an actress she has always been passable in the limited roles she has taken on and we all know what an amazing voice she was blessed with. At the same time we see the rising star of a gifted young singer in Jordin Sparks, we also get to see the amazing talent that Sparks and every other singer will always be compared to. 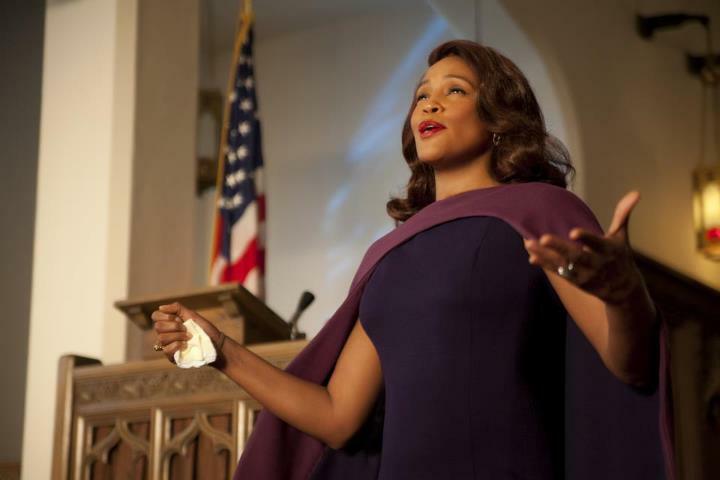 If it were ever possible for Whitney to come back and give the type of encore a woman of her talent is capable of, this movie provides that show stopping moment. 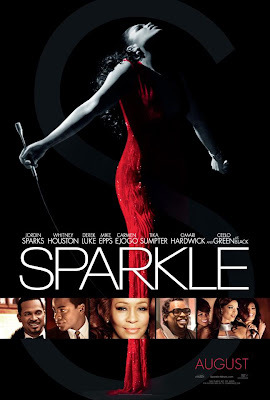 "Sparkle" is a film that is full of ideas we've already seen in movies that are far better and ends up falling just short of what it is trying to accomplish. Where it succeeds is in giving the audience a few truly powerful moments and performances that more than make up for any flaws and will have a lot of people heading back for another chance to see them again. If nothing else, we can all be grateful to have had the chance to see Whitney Houston one last time doing what she does best as she leaves us with a gift that we won't soon forget.